Workplace culture is an increasingly important topic in British companies. 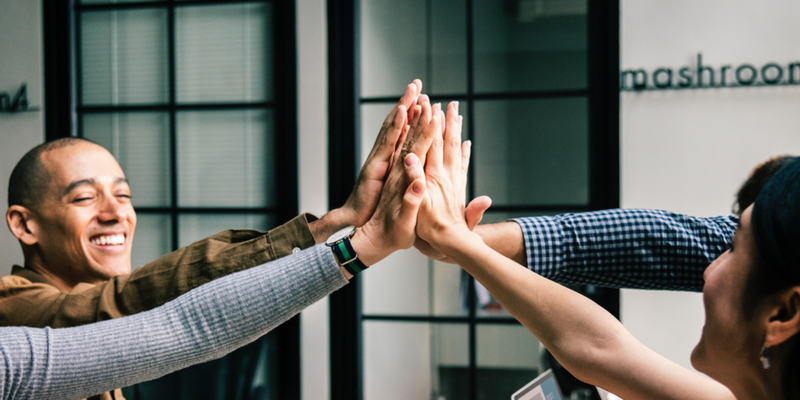 With political and societal factors such as Brexit, the #MeToo movement and more causing change and scrutiny to many businesses, it’s vitally important that companies are taking care of both their employer brand as well as their people’s wellbeing. The 2017 Skills and Employment Survey has shown that the British workforce is under more intense pressure than it has been before in the past 25 years, suggesting a culture of stress and anxiety among many workplaces. There will always be changes that put different types of strain on workers and it’s important to place focus on how to support employees through these changes, rather than look too closely at the cause of these changes. Staff reductions, increased workloads and tighter deadlines will increase the pressure on workers, but to understand the extent of the impact, organisations must speak to their workforce. Stress and anxiety mean different things to different people, and we all have different ways of addressing them. Organisations must be more tolerant of colleagues who approach things differently – you never know what stress they may be quietly coping with. Companies need to offer a way for employees to voice these concerns and be given support without judgement. Listening to someone is one thing but making them feel heard is even more powerful. So how often do these conversations happen? Not often enough because many workers don’t believe their voice matters. Our Rungway research of 2,000 Brits in employment this year indicated that 34% feel that “nothing will change even if I do [voice concerns].” Considering the size of the UK workforce, that’s around 10 million people who don’t expect anything to change, so there is considerable room for improvement. When thinking about opening up conversations among employees, it's important that companies are asking the right questions and frequently. While an annual or quarterly pulse survey may give a finger to the wind on some issues within the company, they rely on the company’s assumptions of what needs to be discussed, rather than what’s on employees’ minds. Because of their infrequency, they also can miss out on the day-to-day small problems occurring that could be snow balling into bigger issues – they are a barometer of a single moment in time. Companies should complement their pulse surveys with more frequent discussions with people. Employees need to be able to raise a problem as and when it’s occurring, so think about implementing tools that enable this – whether it’s something as simple as an anonymous suggestion box in the office, or company software like Rungway that can automate and make these conversations accessible to all anytime, anywhere. These methods allow employees to raise the real issues in the company, and also give an opportunity for management to action and implement real improvements in the moment, before they become bigger problems. Speaking up at work can be scary. People don’t want to be judged, seen as a pest for asking questions, or feel stupid, so it’s important that management teams make it clear that no question is a bad one. It’s not enough to just say that though. If someone sees that their manager is doing as they advise, speaking up and having some vulnerability, it will encourage others to do so too. Equally, management should show that they care and encourage people raising the issues that matter to them by being sure to publicly respond to what people have to say. Knowing that management care and respond to people’s needs will further motivate people to keep discussions going and drive change within the company for the better. Remember: your workforce is full of individuals, all of whom are facing their own challenges – so you should treat them that way too, not as one group. If you’d like to take a step towards changing your company culture from the top, why not have a look at what Rungway’s platform can offer for your business, or click ‘contact us’ to chat with us and we’ll be in touch with you soon. Manager and employee relationships: Why is technology still just an efficiency tool?